A story of tragedy as a new trio takes up the mantle before the events of kh1. 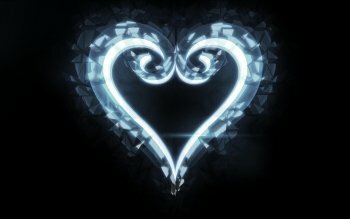 A story that weaves all that has yet to be told within the kingdom of kingdom hearts. A story where there is no happy ending; as ones tale of darkness leads the way to lighting the path for the future. A trio met with incredible sorrow, and a boy beyond the gates of a sleeping castle awaits. Diz waited patiently outside the doors of Castle Oblivion at the crossroads of light and darkness. A sad, twisted remain of a world, unknown to this man, but still, he stood waiting for his heroes to emerge as planned. A long time passed, and the mysterious figure started to lose his patience as two figures in black approached. Alas, his heroes have arrived. Now to see for himself which road this young man will choose. The boy appeared clearly agitated; spat out at Diz for making him choose again. However, Diz calmly stated, "To see which you choose... The road to light... Or the road to darkness." Seeing the hooded boy, he thought it clear that the boy would choose darkness. However the boy chose neither, with a face clear of doubt, he proudly announced he would walk the middle ground to the way of dawn. Shocked and amused, Diz let the boy pass. Only once before, had he seen a young man choose this path... An old friend from before the disaster of his apprentices. As his old, friend Mickey, and his companion began to walk down this path, a hole to darkness opened up swallowing up the young man. The portal slammed shut as quickly as it had opened, startling both Diz and Mickey. Mickey quickly took out his blade, pointing it at Diz and demanding to know what he did. Diz in his vast knowledge could only surmise one answer, "It's a rare sight to see a young boy embracing his shadow and finding harmony. HE must of took interest in the boy." King Mickey clearly understood, curious as to how Diz knew of this man. However, Diz would not give away his identity yet, and the King could still be of use to him. Thus, started Mickey's journey under Diz to find the young man, Riku. Riku however, was about to be enlightened with a new power he just wasn't aware of quite yet. As he stepped through the gate, he immediately prepped for the fight ahead. He stood upon a pillar surrounded in darkness, confused as to how he got separated from the King. He decided to take the steps forward to see where this path would take him. After a quick scan of the area he surmised this was a test created by Diz. So with Soul Eater in hand, he set off. That is when the heartless appeared. He fought endlessly upon one station after another; with each heartless he slayed his resolve in his new path deepened. That is when he heard it. A voice. "This boy is the one..."
Riku yelled out, "Are you the one who brought me here?!" No answer came out, instead a voice in his head slowly grew louder. "You hear it, don't you? The call..."
"Answer me!" Riku quickly stated. The hooded figure shook his head. "No, you were brought here by your own heart. It seeks another." He steadied his keyblade, cupping his hands at its hilt. "Show me your resolve, and perhaps you will gain what you lost." Riku was lost but he knew if he didn't fight, he would likely die here. So he drew Soul eater and lunged at him. To his surprise the man drew another keyblade from the hilt; a gold keyblade with a simple clover design for the guard and at the end of the shaft, a pointed end for piercing. He deflected Riku with ease, kicking him clear across the pillar. Riku rolled to his feet, shocked to see the man was a dual wielder. They continued to exchange blows, it was clear that Riku's first impression was not wrong. The man used the black keyblade as one would hold as a sheath, but used it for defense and strikes, leading into bigger attacks with the other blade and kicks. Even knowing this, Riku could tell as he was he was no match for him. That's when he heard the voice again. "Show me your strength, your love, your anger to free your true self." That's when the man backed off, waiting for Riku to make a move. Riku wasted no time and entered his heartless form, he would not be defeated that easily. 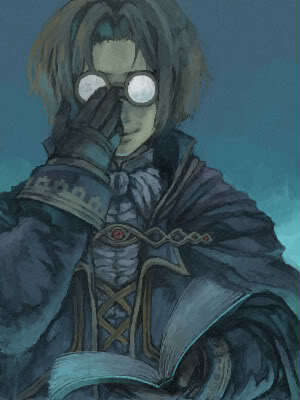 However, when he looked over, the hooded man looked disappointed, "Is only drawing on your darkness your only answer? You are not worthy of power if you rely on your inner shadows." Riku understood the thought, however power is not what drove the young man anymore. "This darkness is a symbol... whatever the cost, I'll pay it to protect my friends. Even if it means dragging myself to the deepest darkness, I can pay it." With that he readied his blade. "They are my light, and my power!" This left the hooded figure silent before he spoke again. "I see in that case I will respect you and show you my light. I sincerely hope you can pass." With that the keyblades sparked and a light flowed from the man and into the blades before they split, and the lights flowed onto the man, forming many new keyblades. Two formed at his waist one, one horizontal to his back, and two more massive blades crossed behind his back floating up from behind him. All the blades giving off enormous power. He then swapped the black keyblade for another that resembled Soul Eater. It contained a black eye in its center, however its design was crude with elements of what looked like the Kingdom Key and Soul Eater smashed together. " This blade is what's left of the battle of two souls. It has yet to take on its own shape, and it is calling for you. Show it you are worthy and lay your true self bare here." He charged with a speed Riku had never seen before. Riku was quickly overpowered but never gave up, even after Soul Eater was thrown from his hands. He laid defeated on the ground, this new form was like nothing he had ever faced. It was over. He was going to be lost here forever. Even with that frustration, his love for his friends never faltered and before the man could finish him off with the keyblade it vanished from his hand. 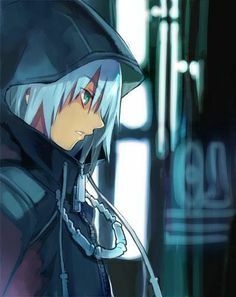 Confused, Riku stood to his feet as the man backed off waiting. The keyblade reappeared in front of Riku and as he drew it, he felt the rage of its creation as it flowed through his mind. The final battle of the two pieces of the same soul... The shadow it left would gradually be known as the blade of dawn. The blade then shattered in his hands, becoming absorbed into Soul Eater. Confused, He asked what happened, and the hooded figure gladly answered. 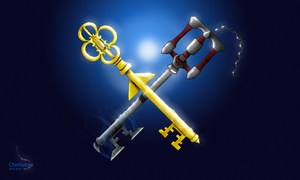 "This keyblade was forcefully forged together, although powerful it can't maintain itself... The blade you carry is an imitation of thus keyblade from its previous war, so it must find a suitable host for its blade." Riku was obviously lost, he knew nothing about Soul Eater except it was from Maleficent. "Don't worry about those details, your story is about to begin, my apprentice." "I'm no ones apprentice, I don't even know who you are!" The hooded figure answered, "I am Gale, the Keyblade Keeper. I am a master tasked with lost blades. They all need a new wielder before their lights dim out, lost to time and you will be too." Riku and Gale discussed the meaning of the keeper, what a keyblade master was, and many other things. Before coming to a conclusion... This man could be of use. He decided to learn from Gale, however Gale had other plans. "You are not yet ready to be trained. First control the darkness from within, otherwise your keyblade will forever be sealed away within Soul Eater." With that he pulled out a blind fold, tying it to Riku's eyes. "I can't see anything, what am I suppose to learn from this?!" "Search for the light, let it guide you through the darkness, and one day you will find that answer." With that, Gale handed him another keyblade, with a floral pattern. "This blade belongs to a very dear friend. One day I want you to pass this on, and find it a proper master. When that time comes you'll be ready to become my apprentice." Lost by his words, Riku absently agreed before Gale opened up another door to the darkness, shoving the helpless Riku through it. Gale starred off in silence, a sad expression engulfed his face as he remembered a time before he was a keyblade wielder. To a time when he stared after the light, chasing her before the light faded and a cruel twist of fate led them to this. It's a sad tale, but one Gale had grown quite fond of. "Was this the right thing, Lave?" He began to walk away, heading back to the home he created, Traverse Town, and his mind trails off to the tale, a tale of darkness. The Keyblade Graveyard, a vast world full of remnants of a forgotten war. Yet this world was full of wonders beyond the rusty, powerless keyblades that now pierced its vast planes. A ground holding the story of many lost, young souls, yet draws many to choose their fates. Yet three young souls came slowly walking through the dust in search of something, a piece of a story waiting to be told. As they carried on through the dust, their forms slowly began to appear. The first was a young woman of 17 years, with a bright demeanor. Her light shined down just as much as her long fiery red hair that flowed gently down her shoulders. She wore brown boots with a heel with knee high socks, and a brown waist cut, leather jacket over a pure white dress tied off with a brown rope belt. The young man looked about 19. He had semi-long black hair, black piercing eyes, while wearing a pair of black pants, a white t-shirt with a cross down the center, wearing a black semi-trench coat styled jacket with a collar and a zipped up hoodie. Underneath the jacket collar was a metallic neck guard protruding out of it. He also wears a dog tag around his neck. A black glove covers his left hand, a gold gauntlet on his right hand And boots with metallic plates on them, tucked away into his pants. The way he carried himself and the way he was geared, he clearly has had some experiences in battle far beyond his years. Finally there was the strong barreling man behind them. He wore a black bandanna across his head atop his long messy blonde hair, just by looking at him you could tell he was an easy going overachiever, who dreamed big. He wore black combat gloves with combat boots and black pants. With that an open trench coat with the collars pointed out, and a brown and white v neck shirt. This odd trio is where our story begins. The red headed girl slowly ran her hands across one of the lifeless keyblades as she was deep in thought. "Lave, now's not the time to get sentimental. Can you tell how close it is from here?" The young man yelled, as the two walked over to her. Lave stared at him before giving him a big grin. "Awe, you getting home sick Gale, this is where we first found you after all." One of her favorite pass times was to poke at the young man, after all she found him to be a stick in the mud, always focused on the mission at hand like some soldier. The innocent bystander stepped in to break up their bickering as they started to go back and forth. "Hey, stop the lovers quarrel you two, we got heroes work to do." "STAY OUT OF IT, SNOW!" This was nothing new for Snow. Lave believed in taking her time, finding the fun and beauty in the life around her. Where Gale liked to put up a front of being a good soldier and putting the mission first. But after the year since snow and lave had found him, he had softened quite a bit. "As heroes we have a duty to the world, save it for when we get back at base." Snow knew how to get these kids back on track and took full advantage of that skill; which set them right back on track. As they ventured through the Graveyard, searching for their goal, heartless began to appear. This was nothing new in the past year, Gale had come to know this new form of darkness quite well. They were the form of darkness from this side of the sleeping castle. Lave and Snow had taught him how to face them, however as time went by, Gale had become weaker and weaker as if his source of magic had begun to fade. He would not dare tell his partners, he just wasnt that type of guy. So he just limited using the sword art he had learned back from his home. Lave announced they were close and Gale felt a wave of relief. He had not wanted to use his skills this time and felt things were finally going his way for a change... He could not of been more wrong. As they approached the target site, confusion washed over their faces. The item was no where to be seen. Just as they were getting ready to search for it, a young man appeared out of the shadows. He wore all black armor with a white a helmet on, and wielding what appeared to be a big, black and white keyblade with a single eye in its guard. 'WAS THIS WHAT THEY WERE LOOKING FOR?' Gale wasn't sure, but he knew if they didn't fight, they were dead. He watched as snow raised his fist and the mark on his arm began to glow, then Lave drew her golden keyblade into a fencing position. Before he could even ready his stance the fight began. He barely managed to dodge as the keyblade swung from behind in some form of quick attack. He drew his blade from his sheath as Snow attacked with his Shiva bike and Lave followed up with a blistering combo to the figure. However, it seemed to do very little to the figure. His combos were relentless, keeping the three on their toes. Gale dreaded it but he had no other option, he had to use his soul slaying art. He changed from one form to another, his sword becoming a new weapon with each emotion he fed to his blade. But even then they were no match, and Gale felt himself slipping away with every second. In the end he had no choice, he used the final form: devouring god. His blade and sheath began to glow as energy poured from him and into the blade. The blade shattered in a bath of light pouring over him. He gained two blades at his waist, another horizontal on his back, two large naginatas crossing his back and two separate katanas in hand, all emulating a violent energy. With it he was able to stand toe to toe with the white figure until Lave and Snow found an opening to finish him off. They stood in silence as the figure faded away leaving a strange keyblade. It was blood red with an eye in the center, however there seemed to be remnants from another blade melded within it. "So we finally found ya." Lave smiled from ear to ear. This keyblade being what they had come to gather. "This ones not going to win any beauty pageants." Snow cracked. "This blade is special, it's a shadow left from the x-blade disaster from a few years ago." Gale and Snow looked confused. "Never mind, all you need to know is it's special." That was enough for them, they both knew she was a keeper tasked with finding the lost keyblades of fallen wielders. They heard it a million times over, and within the past year, Gale had managed to help her collect 12 lost blades. However none of them came from such a being. THEY SAY THAT AS YOU DIE YOUR LIFE FLASHES BEFORE YOUR EYES. HOWEVER, AS IF TO TORTURE GALE, HIS MIND KEPT FLASHING BACK TO THE MOMENT HE PLUNGED INTO THE WORLD OF DARKNESS TO SAVE HIS TEAM. IT PLAYED BACK OVER AND OVER LIKE A BROKEN FILM, AS IF TO TAUNT HIM FOR HIS CHOICE. A MOMENT HE PONDERED MANY TIMES; IF HE HAD MADE THE RIGHT CHOICE. IN HIS HAZE, A TEAM OF LOST SOULS... HIS TEAM... FOUR MEMBERS OF HIS GUILD, THAT HE HAD GATHERED TO PROTECT THE WORLDS FROM DARKNESS. AMONG THEM WAS HIS SECOND IN COMMAND, A POWERFUL DARK WITCH NAMED TRISH. SHE HAD LONG, CURLY HAIR THE COLOR OF GOLD THAT SHE HAD TIED BACK IN A PONY TAIL UNDERNEATH A GIANT WITCHES HAT. SHE WORE BLACK OPEN TOED HEELS IN A SCHOOL GIRL UNIFORM, COVERED IN A TATTERED ROBE. RUNNING ALONG SIDE THEM WAS A VERY MENACING CREATURE. HE WAS A ONE OF A KIND, EVEN AMONG THOSE ON HIS OWN WORLD, A CREATURE MADE OF WOOD THAT WAS AS FRIENDLY AS HE WAS FRIGHTENING. HIS NAME WAS GROOT AND MADE IT KNOWN WITH THE FEW WORDS HE COULD SAY. LASTLY, TRAILING BEHIND HIM WAS A YOUNG BOY NAMED HIRO, WITH INTELLIGENCE FAR BEYOND HIS YEARS. HE WORE A SUPER SUIT HE MADE HIMSELF, IT WAS PRIMARILY INDIGO WITH RED ACCENTS AND BLACK ARMOR, WITH BLACK CLOTHING UNDERNEATH THAT COVERED MOST OF HIS BODY, ALONG WITH STEEL-TOED BLACK SNEAKERS. HE USED THIS SUIT TO CONTROL SWARMS OF TINY ROBOTS TO DO HIS BIDDING... IT IS BECAUSE OF HIRO, THAT GALE'S NEW JOURNEY HAD BEGUN. AS BRILLIANT AS HIRO WAS HIS OLDER BROTHER, TADASHI, WAS FAR MORE SUPERIOR. CREATING MANY WEAPONS, INCLUDING BAYMAX, THAT HAD BEEN OF HELP TO HIS GUILD IN THEIR FIGHT AGAINST THE DARKNESS. HIS LATEST CREATION WAS A SHIELD OF PURE LIGHT THAT WOULD BATHE AN ENTIRE WORLD IN ITS BRILLIANCE. BANISHING ALL OF THE DARKNESS FOR YEARS TO COME. HOWEVER HIRO HAD MANY DOUBTS, AND BEGGED TADASHI TO HOLD OFF ON TESTING IT. THAT HE WOULD EXPLAIN WHEN GALE AND HIS TEAM ARRIVED. TADASHI'S MASTER, CALLAGHAN, HAD RELUCTANTLY AGREED ON THE TERMS JUST AS THE TEAM HEADED OUT. AS THEY CLIMBED THE ROAD LEADING TO THE CITY, SAN FRANSOKYO, FEAR ENGULFED THEM AS THEY FELT THE CHILL OF THE DARKNESS WITHIN THEIR BONES. IN THEIR PATH MANY DARK BEINGS WITH ENRAGED RED EYES APPEARED BEFORE THEM. THESE WERE THE SHADES. THIS SIDE OF THE CASTLES FORM OF DARKNESS. AS THE SHADES INVADED WORLDS, THEY WOULD DIVE INTO THEIR PREYS BODIES PREYING ON THEIR INNER DARKNESS. AS THEIR DARKNESS GROWS, THE SHADES MULTIPLY BEFORE BURSTING OUT AND TAKING ON TRAITS OF THEIR HOSTS WHILE CARRYING BROKEN SHACKLES. THESE SHADES DID NOT BELONG TO THIS WORLD HOWEVER. LUCKILY THEY WERE SMALL SHADES VARYING FROM SMALL FELINE LIKE RED EYES EQUIPED WITH SCYTHE LIKE TAILS TO THE LAVA GROWLING HYENAS, THE SKY GREW DARKER AND DARKER AS THEY APPROACHED, AND HIRO RAN AHEAD, CLEARLY FRANTIC AS HIS WORLD WAS IN PERIL. WHEN THEY REACHED THE TOP THEY WERE DEVASTATED TO SEE THE CITY IN RUINS BEING LOOKED DOWN ON BY A HOLE IN THE SKY, CRACKS SLOWLY SPREADING OUT FROM THE DARK HORIZON, AS MORE AND MORE SHADES POURED OUT FROM ITS MOUTH. HIRO'S FACE FROZEN WITH FEAR, HE COULD ONLY MUTTER, "THEY USED IT..." IT WAS CLEAR THE WEAPON THAT WAS MEANT TO SAVE MANY HAD DOOMED THEM ALL, UNLESS SOMETHING WAS DONE. GALE LOOKED AT THE HORIZON, PREPARING FOR THE BATTLE AHEAD, NOT REALIZING HE WOULD INDEED SAVE THEM AT THE COST OF BEING ENTRAPPED IN THE DARKNESS... A NEW HORROR WAS AWAITING ON THE OTHER SIDE. THE DREAM FINALLY COMING TO AN END. A NEW SENSE OF LIGHT SEEMED TO FILL GALE. THIS WAS SOME SORT OF MAGIC RESTORING HIS LIGHT. A FAMILIAR FIERCE, BRIGHT LIGHT AND ONE AS COLD AS A BREATH OF ICE, LIKE THE TWO SOULS HE CHASED AND ADMIRED THIS LAST YEAR. Gale awoke slowly, a thick fog layered his thoughts. His head had been resting upon Laves lap as she slept. He made quickly to his feet, as this was unfamiliar territory. "Relax. Lave brought us here after your little fainting spell." Snow blurted out nonchalantly, as he pushed off the wall from where he was resting on. Gale began to take in his surroundings as he tried to make sense of the mess inside of his head. The small room wasn't too fancy, it had a few shelves all stuffed with books on magic and the world, and in the center of the room was a desk which once again held books. 'What a surprise.' thought Gale. The thing that caught his eyes was the vast jewels glistening in the sky outside of the window. The stars were so close, it was as if Gale could reach out and grab them. "You don't remember?" Lave spoke up, as she rose from her slumber, clearly concerned. Gale dug through his brain searching for the answer, the last thing he remembered was the fierce battle. After that everything was a blur that was all he could say. "That was seven days ago, Gale." Lave looked disappointed. "You shouldn't of kept your condition from us, Gale, we're heroes we could of done something." Snow snapped at him, in which Gale fully understood. If it had been the other way around he'd be just as worried, however there was no way to fix this unless he found a way home. He felt he just had to hold on a little longer. That their journey would someday lead him home. That was when an elderly man with strong eyes and a pointed cap entered from the adjacent room. "Alas, I am glad to see you are well." "Gale, this is Master Yen Sid, he was the only person I thought of who could help." Lave explained, connecting the dots for Gale. 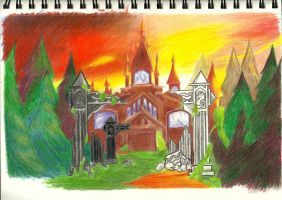 This place was the master's home, a tower in which he could look out at the twinkle of the stars, watching down and guiding keyblade wielders who seek guidance. Although not a keyblade master anymore, unlike Lave, he was still one of the most wisest and powerful of beings within the universe. "Surprising someone like that, and we're just hearing about him now?" Snow cracked, trying to break the ice of the depression within the room. Yen Sid payed it no heed as he sat down, motioning for the three to approach his desk. "Young Gale, Master Lave speaks quite highly of you. Tell me of this sleeping castle." Yen Sid stated with a blank face. His expressions never changing, he listened to Gale talk about his world, the worlds he traveled during his younger days, and how he stumbled upon the castle in the realm of darkness. The master closed his eyes, nodding as Gale talked about the realm of darkness before he flew up from his seat, slamming his hands down as Gale mentioned the blue haired girl wielding a unique black keyblade that saved him from within the depths of the castle. "You have seen Master Aqua!" Yen Sid said eagerly, seeing the stunned expression on the trios faces, he calmed sat back down in his seat. "My apologies. Continue." Gale once again continued on, explaining how if it wasn't for her he surely would've been lost to the darkness and touching her keyblade brought him back to the Keyblade Graveyard. As he reached out holding the lifeless keyblade in his hand. Yen Sid studied it for a second, this was indeed the former keyblade of Master Eraqus and his successor Master Aqua. "This keyblade isn't lifeless... It is waiting for the day it's reunited with its master." That day may never come though, with Aqua being spotted so far into the realm darkness. Gale told Master Yen Sid everything, even his fear about his magic dwindling away. He left nothing out and as he finished, he glanced back at Lave and Snow before returning his attention to the master. As Yen Sid spoke, he had a tone of concern. "This situation is new to me. Therefore I cannot help you get home..." Gale knew it was coming but he still had high hopes that this man at least had a hint of a way to return home, but now, his hopes had been shattered. Yen Sid continued on. "However, thanks to the quick actions of Master Lave, your life has been sparred. Your style of magic is strange but adaptable." Not following his words, Gale asked what he meant. "Your power is one that absorbs a part of your emotions, emotions do not just fuel the magic of your mind like your world, but the heart... absorbing the love of another, one close to your heart... that is what saved you." "Yen Sid modified your armor, Gale, it's been upgraded to enhance that skill of yours." It sounded way out there for the young man, however Gale knew it wasn't some cruel joke. He didn't know what it was, but he could feel it, the emotions of their friendship, their very hearts connecting with his. "It was rough. If the Master didn't save the three of you and give you refuge here, we would of lost you." Just then three fairies came out of the adjacent room. Each was a different color from red, blue, and green, they all looked like pleasant old ladies. The red one began to explain the changes they made. "The armor we made you is very special. It only took a few changes to let it reach out, and not just connect with your soul but draw out power from your closest friends." "Yes, the wiser you grow, and the more you love your friends, the stronger you will become." Announced the one in blue. "We must warn you not to push yourself too hard. This is only temporary until your body adapts. A strong mind doesn't mean a strong heart, Gale." Warned the one in green. He took those words to heart as he assessed his situation. On instinct he flexed his magic, testing the waters. He felt for his new source of power. As he focused he felt the pillars of his support, a chill ran through his body as Snows magic flowed to his hands through his blade. A cool air rafted over the blade as it began to shrink vaporizing away into a cool mist before reforming on both of his hands. As he opened his eyes he caught a glimpse of his new weapons, gloves that resembled the Shiva sisters that comprised Snows bike. They had extra vents that continuously extruded a cool mist, and as he gave thorough a punch in the air it seemed to instantly freeze and shatter from the quick frost. Gale sighed in relief as he let his weapon return to that of a sword, as for everyone else they were a bit puzzled. Yen Sid was the first to speak. "This is unexpected, however with this you can continue on your journey." The fairy sisters huddled together going over what they learned while making Gales new outfit, but for now, this unexpected turn of events seemed to be a blessing for the team. That is until they caught a glimpse of Snow, he looked taxed, almost tired even, though he tried to hide it with a big grin. "I see... be warned, Gale, this power indeed draws strength from your friends. However it weakens them, grow closer and as your bonds deepen, your new powers will do less harm." That made sense to everyone, after all, they had designed it that way to save his life. Why would it not effect the new power he gained? Gale knew this power wasn't his own, but he would use it wisely and temper it until he found a new light and a power of his own. Just as the trio were about to decide their next move, a chill ran through them to their very cores as a woman's laugh echoed throughout the tower. "FOOLS! Try as you might but the darkness shall prevail, even in this tower. Hahaha." The shade stretched in a playful manner, its tail flickered slowly back and forth, amused at the three of them staring down at him; perplexed at its very existence. Gale began to move before his mind could catch up, ready to strike the final blow. He only had one chance before the copycat shade would strike. A chance Gale missed, as his body had become sluggish and no longer able to keep the fit form he was used to. The copycat leaped through the air, diving through the floor, just as Gale's blade crashed down where it had been mere seconds before. Frustrated, Gale slammed his fist down, "Nooo!" He couldn't let it escape, it needed to be vanquished before it could spread. Just then, a black tail shot from the darkness, coiling around him until he could no longer move. Staring him right in the face, the copycat gaped its cracked grin, ready to plunge itself deep within him and feed. Gale's eyes slammed shut, waiting for an ending that did not come, as Lave leaped forward dispatching the shade with one lunge of her keyblade. Gale sighed with relief, he was about to be eaten by a shade, the walls within his heart and his mind crumbled as emotions he locked away resurfaced. Lave looked down on Gale, sweat poured from his face as he made his way back to his feet. Something was clearly wrong, the Gale she knew could handle that with ease. "What's wrong, you're not acting like yourself." "I don't know... I feel so... weak." Gale managed to spit out, as he tried to gather himself. "Kids, this isn't the time, lets move!" Snow yelled, as he barreled past the two, throwing Gale over one shoulder as he dodged a hippo ballerina shade. A shadow began to cast over the stairs behind them where they once stood, as it slowly crept toward the distracted trio. As they ran Lave tripped over the stairs and tumbling down into Snow, as they rolled down the stairs, they took down everything within their path. This included all of the magic broom shades and heartless that where determined to get in their way. As they hit the bottom, both Gale and Snow leaped up with a grin, laughing. "Yeehaw, Haha!" They turned to each other confused. Lave finally realizing what was wrong. Gale had begun to feel their emotions, their strengths, and weaknesses. Everything. She knew Gale could flip emotions on and off like a switch, depending on what he needed, that's what fueled his soul slaying art. With that, she understood why Gale had become so weak. But this wouldn't stop him, for that she was sure of. Snow helped Lave to her feet as Gale tried his best to loosen himself up and get a feel for his sword again. Snow looked up the spiraling stairs, he knew it would be a matter of time before the shades caught up and had them pinned in a corner. He spun around, dusting the dust off him and setting off for the door. Gale and Lave watched him as he cocked his head back smiling. "Nothin' to worry about, lets ride." He shoved the doors open as they ran through it and exited the tower. Weapons raised, they were ready for the fight and the shades followed out, slowly forming into a dark, black puddle in front of them. A book slowly rose up from the puddle, as its pages flipped a black smoke poured out from within the book and blanketed the ground. Snow threw his arms out, pushing Gale and Lave behind him as he took a step back. The book had been possessed by a shade, and he wasn't prepared for what happened next. A menacing black figure towered over Yen Sid's home, as black wings unfolded. A demonic figure raised its hands preparing to strike down. His fist hit the ground, shaking the ground beneath their feet as shades splashed out before their very eyes, and towards their new prey. Lave was dumbfounded, she couldn't believe the shades could manifest in such vast ways. The heartless were powerful, but they weren't killing machines. They were just dark beings searching for their hearts, compared to them. Shades were evolving monsters. She watched as Snow ran, waving his fist around and shooting to distract the menacing shade in front of him. Gale in vain began to dispatch the smaller shades, protecting Lave while she concocted a plan. From what she could tell the towering figure wasn't a shade, so she deduced the book had to go. She called out to her comrades. "The book!" As she ran through her enemies with strike raid. This had finally freed up Gale to do some damage, he called out to Snow as he drifted by with his Shiva bike. Snow reached out, grabbing Gales hand and pulling him onto the back of his bike. They sped off, instantly freezing everything within their path, as Lave charged her keyblade shotlock and aiming it at the figure. 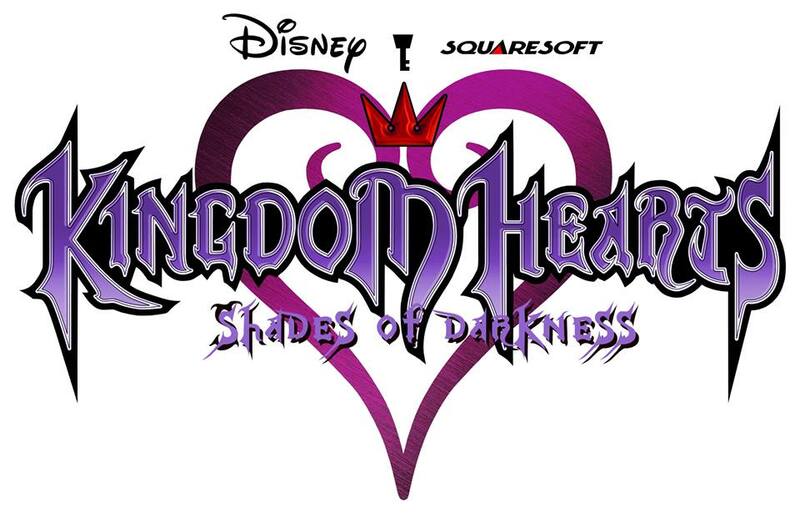 Lights shot through the sky in rainbow colors like shooting stars as the keyblades formed, flying at the demon. As the demon was knocked back, Snow hit the brakes as Gale leapt off the back. He searched deep within himself, feeling a hot, light coursing through his body and focused it into his blade. The blade began to glow red as it grew in size, thickening with every second until it became a glowing red zweihander with a floral hilt. Gale spun forward, swinging the sword down as he his feet touched to the ground, the blade nearly missing the book. However, that is all it took. As the blade hit the ground, the earth split apart with fire bursting through the cracks and scorching the book from where it laid. As the book began to burn the menacing demon began to shrivel, shrinking back into his home among the pages of the book. The shade burst from out of the book, a shadowy mist with red eyes appeared fleeing from the burning pages. As Gale swung down, a flaming streak of magic came out of his blade and cut it in two. For now, Yen Sid's tower was saved from the darkness. 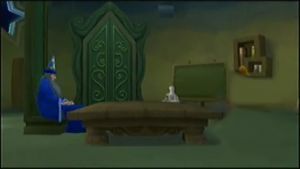 Yen Sid sat in his chair waiting for the three to return. He could not make sense of how Maleficent broke into his home with the barrier he had placed. Just then, a door to darkness opened up in his room and a woman dressed in black robes, holding a staff stepped through. "I see your servants are having a difficult time with my FRIENDS." She said with a twisted smile. "These new forms of darkness will be quite handy, as I gather the seven princesses of heart." "The light of seven hearts is beyond your reach, Maleficent, heed my warning. You will gain nothing from joining with the darkness." Yen Sid told her. "All things belong to darkness and I will rule everything, once I gather the other six." Yen Sids rose up in horror, at hear she had already collected one of the princesses of heart. Maleficent turned, readying to leave and return through her dark passage. "Oh and a parting gift, know this, the shades have already devoured many worlds... Not even the greatest sorcerer can stop them now." She said, as she walked away laughing. As she vanished, Yen Sid already knew what needed to be done. For now he would wait for the trio to return. Snow watched as Gale pushed open the doors to Yen Sids study, as he carried an exhausted Lave in his arms. After the fight, the shades vanished, leaving only the rare few heartless. Lave had fallen to the floor clearly exhausted from Gale using her soul, which led to there current predicament. "Welcome back." Yen Sid greeted them, as they came up to his table. Lave managed to stand on her own two feet again as the three explained everything that had transpired. "I see, this is more dangerous than I feared..." Gale had practically become a novice without his drive forms to fuel him, and when he did use them he put the others at risk, exhausting them to the point they couldn't fight. Snow was even more concerned for Gale though, as he remembered him copying his emotion, would Gale lose himself if he stayed like this for too long? Yen Sid interrupted his train of thought. 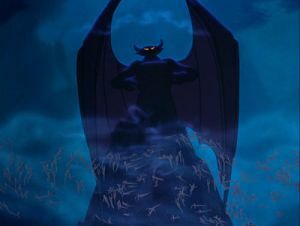 "Find Maleficent, she is the key to all of this. Find her and the shades before all hearts are lost." Each had their own reason for accepting: Gale the shades, Snow hoping to find what he had lost, but it was Lave who gladly accepted, jumping up and reassuring the old sorcerer that they would do their best. They set off for their home base. Twilight Town, as Yen Sid watched after them, concerned for the rocky path they were about to take. Maleficent made her way through the corridor of darkness. Even though her plan to take Yen Sids tower as her new castle failed, she had proved the shades were a valuable asset. She stepped out of the shadows and into a room engulfed with shadows. The little sliver of light that was present, shined down on a round table in the center of the room, with eight figures sitting around and waiting for Maleficent to take her seat. "I see your plan worked with flying colors." The clown within the shadows chuckled sarcastically, with a shrill, girlish laugh. "Indeed." Maleficent said, as green flames burned around her, displeased by the garish clown. "The shades worked better than I could of dreamed, we must thank HIM for giving them to us." " Okay, fine, fine. Eye patch was right on the money with this one. Can. He. Be. Trusted. Though?" Hades said, being illuminated by his blue flickering flames. Just then from across the table, a man in purple pushed up his glasses over the bridge of his nose. "His words are no lie, soon our research will bear fruit." Resting his hands on his grimoire. "Yes, thanks to old eye patchy, my new toy has far surpassed my old broken one." Said the Clown, agreeing with the young scholar as he bounced in his seat. "That puppet of yours is unstable, it'll be her undoing and yours." Rebuffed the woman, with long silver hair that splayed out around her in tendrils, even in the darkened room. "Silence!" Yelled Maleficent, as she had grown tired of her cohorts bickering. They all stopped and starred as she proclaimed, nothing could stop their plans as the light flickers out in the room. The station at Twilight Town was deadly silent, as no trains were running at this hour, however a sound started to build. The sound of a train engine slowly rose as a purple train with a magic hat pulled into the station. As the doors opened three figures emerged and came out, feeling relieved to finally be home. Lave lifted her arms in the air taking in the fresh air as she stretched. "Alright break time, I'm beat." Gale and Snow both sighed, it was typical of Lave. And they were glad to finally get some time to relax. As they made their way out of the station, a trio of children ran up to them, jumping with joy. The children were a group of kids who fond over them every time they came home. Their names were Hayner, Pence, and Olette. Olette and Pence had always admired Lave, asking about her adventures. Gale watched as they sat patiently, listening in awe as Lave waved her hands around as she excitedly played out the scenes as she talked. However Hayner was a different matter, he always tried so hard to show off to Snow and Gale, trying to prove he was tough. This time was no different as he pulled out two skateboards. Snow looked down at little Hayner's eager face. He was pumped. "Lets ride!" As Hayner's face glowed with glee as he leap onto his skateboard. Snow had other plans though as he pushed Gale forward. "Cool'em off a little, would ya?" Snow said, as he gave him a thumbs up. Lave and the kids came over, cheering him on as Gale refused, demanding to know why he had to. After a boost of confidence from the kids with Lave and Snow watching him, Gale jumped on the skateboard and speeding off to join the fray. Needless to say, Gale lost as Hayner danced circles around him. Gale and Hayner both laid sprawled out on the ground, laughing as the sun started to set. "Hayner, we have school tomorrow. Lets go!" Yelled Pence. The kids jumped up and began to run home to prepare for their big day tomorrow. Ollette turned back, waving goodbye to the trio, not knowing if this would be the last time they would ever meet. "We don't have much time either, lets go..." Gale muttered, feeling exhausted. He wasn't use to this thing called fun. Lave giggled as Snow patted the poor man on the back. They began to walk to Lave's house, the keepers manor hidden within Twilight's depths. Just as they left, a young man came out of the station, his dirty blonde hair covered his face underneath a dark blue hoodie. He removed the hood and began to comb his hair into a mullet, as individual bangs fell over his face, revealing cyan colored eyes. He smiled as he caught a glimpse of Lave rounding the corner, looking forward to being home once more. As the the sun set on Twilight Town, its inhabitants began to slumber. Sweet dreams took hold of Lave and Snow, reminding them of better days within their dreams. However Gale was once again haunted by his past, his dreams taking him on a journey of his time within the realm of darkness. Within his dream his eyes slowly opened as a blinding light shined down on him from a crack within the blackened sky. As his eyes adjusted, he could hear the shrieks of those closing in on the poor soul. His eyes began to adjust, the confusion dispersed as the memories came back to him. His team infiltrated the city, fighting shades of all shapes and sizes boosted by san fransokyo creations. In hopes of finding a solution, they decided to search for Tadashi, unfortunately, they instead found themselves before Master Callagan. The man was frozen stiff with fear as he hid under a desk. Trish had always voiced her opinion of how weak of a heart she believed this man to be, who was in the group. However, Gale did not want to believe it until now. They managed to bring the man to his senses enough to discover that Tadashi had made his way to the tear in the sky. His plan was to detonate his latest creation by overloading it with the fail safe he had created. Trish believed it was best for the four of them to save Hiro's brother. Hiro and Gale both believed they needed to escape, but Trish refused to have it. That was when Gale pretended to agree with her, patting her on the shoulder as he whispered a sleeping spell gently into her ear. The shock of his most trusted friend betraying her, caused a rift in his heart. Pushing back his regret he ordered Groot to take her home to their guild, the world the two had built together with their bare hands. Groot sped off with Callagan in toe, as Hiro thanked Gale with all his heart. They set off one last time, only to lose Tadashi and Gale sacrificing himself, shielding the overload and the shades within the darkness. San fransokyo was sealed off from the rest of the worlds, that day believed to be lost to time and darkness. Gales eyes finally regained their focus. He froze, steadying his blade as shades encircled him. It was a battle Gale would lose if they attacked all at once. To his surprise though, they lingered as if afraid to step forward. He looked up again at the crack, realizing the light shining down was in fact a remnant of Tadashi's design. He sat back, basking in its light for some time, the reality of the situation slowly setting in. He got to his feet, ready to break through the front lines and find his way out. Gale waited until he saw a break in their formation, darting through this world blanketed in darkness. The shades took chase, following the beacon that was Gale. The light slowly fading to a dull grey as the darkness began to change with the unfortunate soul. Unaware of the changes within, Gale ran... and he ran with no end in sight. A barren world full of valleys and paths of rock jutting out through the wasteland like coral. Gale began to panic as the shades closed in, he had entered the territory of the pure blooded shades. Their lion forms hiding in the shadows as their eyes gave away their positions. 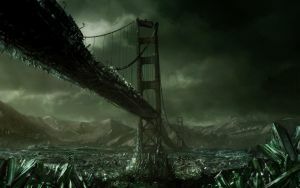 Distracted, Gale fell, tumbling down a vast valley as he fell he landed in a garden thick with dead shriveled plants. As he looked on for a place to hide, his eyes taking in the vast castle in front of the man. The shades let out a roar as they came down from above. His mind went blank as he ran for the door, barely making his escape and slamming the doors shut behind him as the shades pounded, determined to ensnare their prey. He waited some time until the pounding had ceased, He leaped up, feeling exhausted, and not sure what to do next. He began to explore the castles inner depths, unsure what he would find. As he made his way through the castle, he was quite surprised by the lack of life. There wasn't a shade in sight. As he explored a thick layer of dust filmed over everything he touched. Somehow the air was becoming easier and easier to breath as he began to adjust to the world, although at the time, Gales eyes even to this day were blind to this fact. He turned a corridor in that twisted maze, only to find an ink-black creature with beady yellow eyes and antennas protruding from its head. Its head bobbed back and forth as if oblivious to his existence. At first Gale believed it to be a new form of shade until he leaped to strike at it. His blade faded through the creature hitting the ground as the heartless slashed its claws at him. Gale spun away, with all limbs intact, black smoke began to pour out from the scratches on his arm. His attacks did nothing as he kept up his assault, slowly it sank in that this was not a shade at all. He ran, realizing he would lose his life here if he did not escape. The heartless only looked on mindlessly as he ran off, heartless began to gather to follow the man to their deaths. As Gale made his way back to the first floor, a giant sword swung down in his path. A hulking black figure flying on delicate demon wings stood in his path, Gale used his snipers in spirit drive mode. His sword turned into a light rifle to give him an advantage in distance. As he tried to gain space, more of these strange creatures came cutting off his escape. With all options lost Gale prepared to give in, dropping his weapon and falling to his knees as it turned back into a sword, he closed his eyes. To his surprise the end did not come as an enchanting, blue haired girl flew past him, all of the creatures exploding in a spray of black mist. She turned to him, offering him a hand back to his feet. His eyes lingering on her keyblade, its shape had reminded him of one man he fought before... He carried a similar weapon. One glance at her though and he could tell she was different, almost big sisterly. As he made his way to his feet, they exchanged greetings, there was little time to chat but seeing one another began to comfort both of their souls of light. Aqua showed Gale quite a bit, teaching him about the heartless as they tread through the hallways within the castle looking for an escape. The thought of two forms of darkness, shocked both parties as they made their way to the banquet hall of the castle. The door creek open as they pushed it open together, as they stepped through they came upon a terrifying scene as the heartless and shades began to rip each other to shreds. The heartless fought a losing battle as they were devoured by the shades with ease. Overwhelmed by their sheer numbers, the heartless dwindled away, until all that was left was the shades dancing around. One humanoid shade plucked the last of the heartless and devoured it whole. The fight was fierce as the perfect combo of Aqua's support and Gales speed ripped through their ranks. The red eye shade overpowered them, preparing to rip through Gales chest as Aqua tossed her keyblade in between them as a barrier formed, freezing both of them in their tracks. Gale struggled to break free from the spell, reaching out to grab her weapon. As his fingers touched her weapon the spell wore off, as the queen of shades hand attempted to rip the blade from him. The keyblade glowed, bathing them in light as they shot off and into the sky, leaving Aqua alone in the sleeping castle. A castle connecting two sides of a lost kingdom. I can't believe Aqua was left again in the Castle of Dreams. I really hope Gale finds a way to help her out of the realm of darkness. I'm also impressed with Aqua being able to handle the heartless and shades with no problem at all. I do feel bad for Lave being drained by Gale. I do wonder if there'll come a time where Gale won't overuse the new found power he was given, because I could easily see him putting Lave or Snow in danger. And I'm curious who the mystery guy is with the mullet for hair at the end of the Twilight Town chapter. And with that said, I eagerly look forward to more. And because I don't mind offering, would you like me to edit your chapters? I noticed some sentences tend to run on rather then stop with a period and some capitalization could be used. I wouldn't mind editing the first six and you send following chapters to me via PM before posting them after I edit them. Although, please keep in mind it takes time for me to edit stuff. Chapter 7: The Composer in the rain. Gales eyes shot open as he sat up, pouring with sweat. His dreams were corrupted with the seeds of his sins, making it impossible to sleep. As he looked outside, the sun had yet to rise. Gale prepared to set off by throwing his coat back on. In the dead of night he slipped out of his room needing some fresh air, he set off for a midnight stroll. A cool draft waved over him as he stepped out, sending a chill down his spine. Zipping up his jacket, he began his stroll lost in thought. 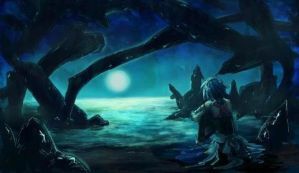 His mind drifting back to his past, wondering how his old guild was doing, or if Master Aqua ever made it out. So many questions eating at his psyche, as music began to carry through the air. 'Instrumental Simple and Clean Acoustic', the song brought Gale a sense of peace snapping him back to his senses before he could smash his face into the sandlot arena. He turned his attention to the back alley, aiming his focus to the source of the sound. The alley was abnormally dark as Gale walked through it. Enchanted by the music, Gale became oblivious of the copycat shades as they began to slowly stalk after him from behind. One by one the shades gathered as they waited, his soul not yet ripe for the taking as they followed him. Gale had come to the shopping district as the music came to an end. The air filled with the distorted hum of copycats purring, freezing Gale in his tracks. He slowly cocked his head back as he drew his blade. Hundreds of copycats stared back with eager eyes as they slowly opened and closed their cracked grins. Gale made his move, feeling in better form tonight after the events in Yen Sids tower. The shades attacks were relentles, one after another came wearing down on the swordsman, as he fought valiantly. With no time to use his drive forms, another song began to play as rain fell from a cloudless sky. A young man stepping into view as he strummed on a guitar shaped keyblade. The water danced around, demolishing the shades as quickly as they appeared. He stopped playing as he reached Gale, pulling him away from the fight. As they prepared to make their escape on the tram, they were instead greeted by a monstrous shade. The shade came shooting down the rails, as the monstrosity tram shade attacked, cutting off their escape. The face of the tram had been distorted, jutting out with sharp metallic teeth, as the lights flickered red. Upon its back, a young girl of ten years. She wore a skin tight, long sleeve shirt that was red in the collar, with red stripes going down her sleeves to her torso. Simple black shorts poked out from underneath her shirt as it mostly covered them. Upon her head was a decagon shaped black helmet as it drew back in a pointed tail, a red light flickered from its visor. She turned pointing two red and black handguns as red light pulsed rapidly. "No way! Run! ", The young man yelled out, as Gale dodged a birage of dark firagas from the young girl's guns. As he rolled back to his feet he caught a glimpse of hoodie taking cover. He cowered away into the shadows, completely opposite of the young man Gale witnessed only seconds before. The young girl turned her attention to Gale directing the shades to charge as Gale ran forward. The shades smashed into Gale as he tried to leap aboard, thrusting him into the air. The girl prepared to fire as the young man finally decided to join the fray. He ran his finger down the strings on his keyblade, a loud shriek sound paralyzing the young girl. Gale hit the floor hard, breaking several ribs as he screamed out in pain. The young man rushed to his aid. "Lets see here..." As he played a siren tune, Gale's wounds began to heal; his ribs snapped back into place as the fractures in his legs, also began to melded back together. "Don't die or I'll have to fight her." Pleaded Hoodie, trying to fight as little as possible. "Distract it, I have a plan." Rushing off to prepare for his assault. Hoodie looked at him dumbfounded as he gave up and readying it to go all out. "Oh, it's no use." He began to strum a song... a song of war. Gysers shot up from the ground slowing the tram down as Gale leaped onto the back of the car. His sword had already morphed becoming a glowing red zweihander with a floral hilt. He flipped the giant blade upside down, aiming it at the ground as he thrust its tip through the shades belly. Lava quickly webbed through out its interior before exploding, freeing Gale as black light fell like rain from its defeat. As the lights dissipated, Gale and Hoodie turned their attention to the girl as she backed away. Gale was ready to pursue as she took off at a blistering speed into a gate of darkness. A place neither man was prepared to follow as Gales weapon faded on its own back to its original shape. As the gate vanished so did the shades, following suit and giving the two a chance to introduce themselves. The young man was named Myde, the young keyblade wielder of song. He wore a close fitted hoodie with the sleeves pushed up half way. The button down collar poked out as the shirt padded the shoulders of his jacket. He wielded a special blue and gold stringed keyblade shaped like an axe base guitar. Even though they had never met, Gale felt as if Myde was family. Somewhere deep down, his heart told him he knew this man as they both agreed to go separate ways. Walking in separate directions, expecting to never see each other again. The sun began to rise as Gale made his way to the front of the keepers mansion. The inhabitants of Twilight Town, completely unaware of what had transpired. Just then Gale jumped out of shock as sounds of crashing came from within the manor as Lave rampaged within. "Where have you been? It's been a year, Myde! A year!" As he entered, he came upon an amusing scene. His new acquaintance was bowing as Snow held back an enraged Lave. "Take it easy, Lave it's too early." Said Snow, as he struggled to hold her. "What do you have to say for yourself, Myde? I was worried sick!" As Lave began to calm down. Myde looked up and gave a sheepish grin. "So you did miss me." Just as Lave broke free, the doors creaked closed behind Gale, alerting everyone to his presence. As Gale approached, Lave's anger diminished catching Myde off guard. She began to explain their past together as apprentices to the previous keyblade keeper. "You wouldn't believe how lazy Myde was, always skipping lessons since he got his keyblade and setting off on musical tours." "The previous keeper... Master Reno, was Lave's father." Snow said slowly, as he studied Lave's face. A face that became clouded with sadness for a brief second before returning to her bright smile. "Enough of that! This isn't the reason I came back." Myde announced. "The last world I was on was Radiant Garden and something strange has appeared. A talking shadow with red eyes appeared and everyone's barricaded themselves inside." He continued on, explaining the rumors and fears of the people he met, spilling everything he had learned. Gale did his best to hold back as memories of the queen shade came to mind. "Okay, then we'll set course for Radiant Garden." Proclaimed Lave. "Get some rest, Myde. You earned it." "Will do." Said Myde with a silhouette of a smile, before setting off for his room. Just then Gale connected the dots. Lave and Myde were as close as brother and sister. Just as he had felt earlier with Myde after their battle. This new resolution casting a shadow of doubt over his sense of self as they set off for Radiant Garden. Halloween town a world stuffed with nightmares none could imagine. A dark world where Halloween brought the joys of light to its inhabitants hearts. A skeletal figure, named Jack Skellington, with glowing eyes looked on his beloved town. He wore a top hat with a ribbon tied in the shape of a bat that tailed down behind his cracked skull. His heart heavy as he looked over the town he once reined over now filled to the brim with unknown shadows. As his ghoulish mind concocted ways to take back his town a light began to flicker in the distance, a light like none he had ever seen before. As he dashed through town making haste to its source. He began to grin, his curiosity peaked as he toppled over many of the shadows and citizens in his path. Gale was the last to step through the lane between, his eyes trying to adapt to the blackened night of this world. As his eyes adjusted, he could just make out the tombstones jutting from the floor as flickers of candle light came from the occasional jack-o-lantern. even though Gale had never been to Radiant Garden it was clear that this world was not the world they had sought to step ground upon. "Well this isn't right." Snow sarcastically let out as he brushed his hands through his facial hair confused. Lave began to run her hand along one of ghoulish statues next to her, "I think this is Halloween town." She had heard of Halloween town from Myde several times, but she had never been to this world. Nor did she know which lane between to use to reach its nightmarish town. "Somethings wrong," she stated as she tried to understand what happened. As Snow and Lave sat there pondering, Gale began to speak. "It must of been the shades twisting the paths among st the worlds." This worried Lave, if the lanes between had all been changed then reaching Radiant Garden would be all but impossible. Just then they heard a gate creak as a skeletal figure stepped into the graveyard. Lave motioning them to hide, she heard from Myde that they had to dress the part when visiting Halloween town. That is unless you wanted the scare of your life, the skeletal figure began to call asking whose there. Lave then cast a spell over the trio. Their clothes swiftly changed, just before the figure reached them. Lave stood up as a pair of cat ears poked from her head, as a headband fitted with ears and a small top hat fitted to her head. The top hat sporting a winged broken heart as it tilted to the side. Her jacket now gone, her arms where covered with laced arm warmers sporting roses at the wrist. A black studded belt lined her Victorian style skirt dress. Whipping her in the face, a cat tail protruded from the back. Her leggings becoming black ripped in several places as she stood on short ankle boots lined with several belts and a jack-o-lantern emblem. Snow was the next to his feet, his shirt and jacket now gone. From the waist up his body was wound in bandages, as several of the wrappings hung loose from his wrist and his neck. His eyes the only thing visible as the bandages left rows of black shadowed exes at the mouth giving a menacing grin. As he stood he began to lift Gale to his feet, not much had changed. His coat had morphed becoming a black hoodie a skeletal pattern was printed on it, as rib patterns wrapped around his torso. Leading down to the pattern on its hands a thumb hole emerged as the coat partially covered his now bare hands. The hoodie left a v pattern at the neck of the collar, as the jaws of the skull appeared to devour his head. His face now hidden behind his long black hair as it flowed over his face under its hood. As the trio rose Jack Skellington looked them up and down before giving a blood churning grin. Deep down he knew these strangers would be the salvation of his town. As he approached the trio Jack began to reached out to shake the strangers hands completely oblivious of how imposing he was to them. That is until the two young nightmarishly young men drew their weapons. Jack Skellington froze, raising his hands to the air, "Wait, I mean you no harm!" The young cat girl walked towards him, no signs of fear tainted her bright blue eyes. "Happy Halloween!" A warmth within Jack began to spread as a bright smile spread across Lave's face. Memories of his title flashed in his mind as he yelled out with pride, "Yes! Happy Halloween from Jack Skellington the Pumpkin king!" As he yelled out, the dread began to pull him back down as he tugged on his hat hiding his broken face. Noticing his dismay Lave reached out placing her hand upon his cold bony shoulder, she remembered Myde calling him the king of scares, "Are you okay, you look a bit down for the scare king." The skeletal king raised his head as he began to explain how he lost his title. Shadowy figures had began to pour into his town just as Oogie Boogie's new casino had been erected almost overnight. The pumpkin king bravely stood against the dark figures as he approached the lavish lair of his old friend. To his dismay, Oogie Boogie had become to powerful, squashing Jack Skellington before smashing his face. 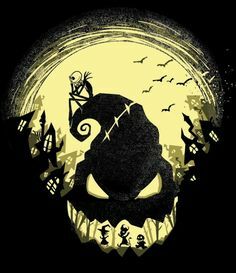 Despite the pleas of the mayor and citizens in Halloween town for Jack to return, he could not live with the shame of Oogie usurping his title and crushing his very spirit. So he took on his current disguise until the day he could once again save his town. Wow, I wasn't expecting to see Lave, Snow, and Gale to show up in Halloween Town. I'm even more surprised at Oogie Boogie being able to usurp Jack. Lave is such a sweet heart and a quick thinker on her feet. Snow and Gale are lucky to have her in their party. I wonder if the shadowy figures target was Jack Skellington or the trio? Either way, I know they'll all work together to help save Halloween Town. This was a great chapter! I hope the trio don't have too much trouble reaching Radiant Garden after visiting this world. thanks I respect and appreciate the feedback. both jack and oogie both have it rough in this arc of the story, but all the pieces will fall into place and both will have to pick a side. as for the trio I'm glad you caught on, lave's the sweet heart that holds them together. saying that I'm sure if it was just her alone, their story would not be the dark catastrophe that it's destined to be.